Do you need to get to grips with health and safety principles but don’t have time to wade through reams of legislation and guidance? Do you need practical step-by-step guidance on health and safety issues for your small business? Then this is the book for you. Building on the success of the first edition, this fully revised Easy Guide to Health and Safety 2nd edition introduces the health and safety issues which the self-employed and managers, directors and staff with health and safety responsibilities in small businesses face every day. Written in plain English, this new edition will take you through the principles of health and safety in a clear, jargon-free manner. 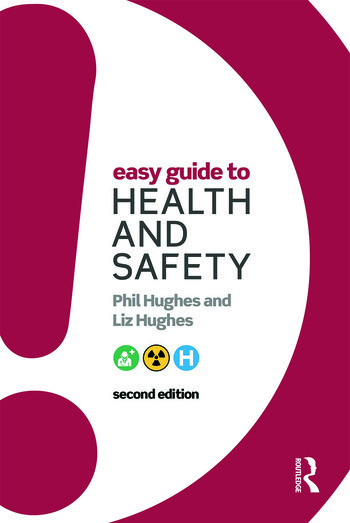 Fully revised and packed with practical guidance, the Easy Guide to Health and Safety will ensure that you are well equipped to keep yourself and others safe in the workplace. Packed with practical guidance and handy checklists and forms. Also suitable for students studying towards IOSH Working Safely and NVQ level 1 and 2 courses from City and Guilds and other NVQ awarding bodies. 1. What is health and safety all about? 2. Managing health and safety, 3. Framework of health, safety and fire law, 4. Control of safety hazards, 5. Hazardous substances - Health hazards, 6. Physical and psychological health hazards, 7. Construction and contractors, 8. Incidents and emergencies, 9. Sources of information and guidance. Phil Hughes MBE, MSc, FCIOSH is a well-known UK safety professional with over 40 years' worldwide experience. He was Chairman of NEBOSH from 1995 to 2001 and President of IOSH from 1990 to 1991. Phil received the RoSPA Distinguished Service Award in May 2001 and was a Director and Trustee of RoSPA from 2003 to 2010. He received an MBE in the New Year Honours List 2005 for services to health and safety. Liz Hughes BA, MA is qualified in psychology, education and social work and specializes in mental health. She has managed development and training in the voluntary sector including the introduction of NVQ awards. Her psychology and education background has enabled her to present information in a way that is readable and easily accessible to students. Liz is currently a trustee of Alive!, a charity in the health care sector.